Assam chief minister Sarbananda Sonowal on Tuesday said that the unity and integrity of the State can never be put at stake by the foreigners. “No foreign forces can occupy Assam. Therefore, if anybody is apprehensive of the future of Assam, I request them to refrain from such apprehension,” Sonowal said. These were the observations made by Chief Minister Sarbananda Sonowal while attending the swearing in ceremony of the members of Sonowal Kachari Autonomous Council and inaugurating Mukhya Mantri Krishi Sa Sajuli Yojana at a function held in Dibrugarh on Tuesday. Chief Minister Sonowal while allaying fears of the people of Assam said that as long as the BJP-led government is in power everybody is secured in the State. “Under no circumstances the present State Government will allow erosion of land, hearth, culture, literature and language of the Assemese people to creep in,” he added. He, therefore, appealed to everybody to be led by their wisdom and not get carried away by the mis-information campaign being carried out by some vested interests group in the society. On the other hand if 3.30 crore people of the State work in tandem to explore and utilize the verdant resources of the State, no force can defeat the forward march of the State. Chief Minister Sonowal also said that this is the government of the people. Nothing has been done against the interests of the people keeping them in dark. Since transparency is the core principle of the present State Government, it has taken the uncompromising tirade to weed out corruption from every level including the corruption ridden APSC. Though government has got miles to go before corruption is completely wiped out, he advocated for a synergistic approach between the government and its people to make the administration free from any iota of corrupt practices. 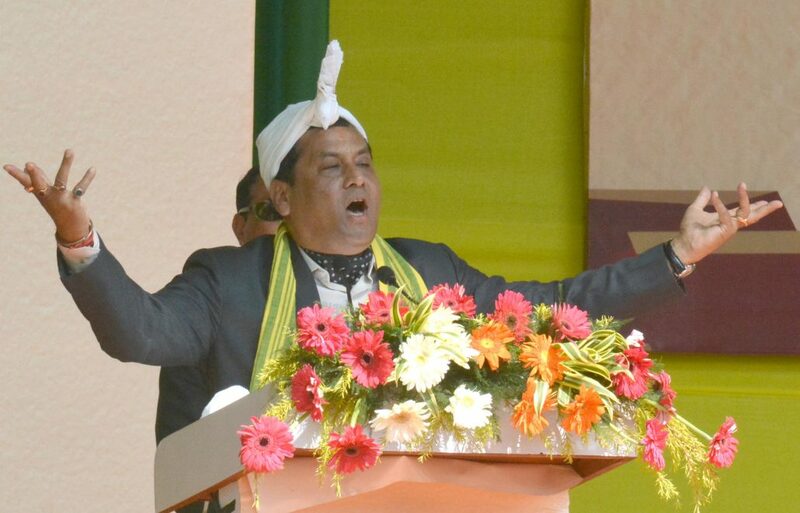 On the other hand speaking during the swearing in ceremony of the elected members of Sonowal Kachari Autonomous Council, Sonowal said that after becoming Prime Minister in 2014, Narendra Modi gave a clarion call that not as a prime minister he would rather serve the country as a faithful servant. Taking everybody on board, the newly constituted council should endeavour to spearhead empowerment of the people of the council area along with its peripheries socially, politically, academically, culturally and economically.